I am a huge skincare lover, I find it really fascinating that a mix of ingredients can basically transform your skin. I am really into eye care at the moment. I have really been struggling to find something to sort out my under eye area, recently my eyes have been so sore, puffy and dry and I did use Aveeno for a while which helped soothe it a lot and then on top of that I really wanted to try and keep them hydrated, brighter and smooth. I have used The Body Shop’s Vitamin E range before and I really loved using it, so I thought I would try the Vitamin E eye cream which is super thick and it feels quite luxurious which I like as it is a pretty affordable product, it soaks into the skin really nicely and quickly and leaves it looking bright and healthy. Also, I like the packaging and it’s nice and easy to distribute, I hate pots or pumps for eye creams because I end up using too much but this tube is perfect. I use it morning and night and have noticed a difference. The Eyes Cube is almost like a lip balm for your eye area which I think is pretty sick! I use this as well as the eye cream I just pop it on after the cream if my eyes are super dry and it is perfect for makeup-free days when I’m on the go and I just swipe it under my eyes when I feel like they need it. It’s such a good little balm to have. This is the star of the show! 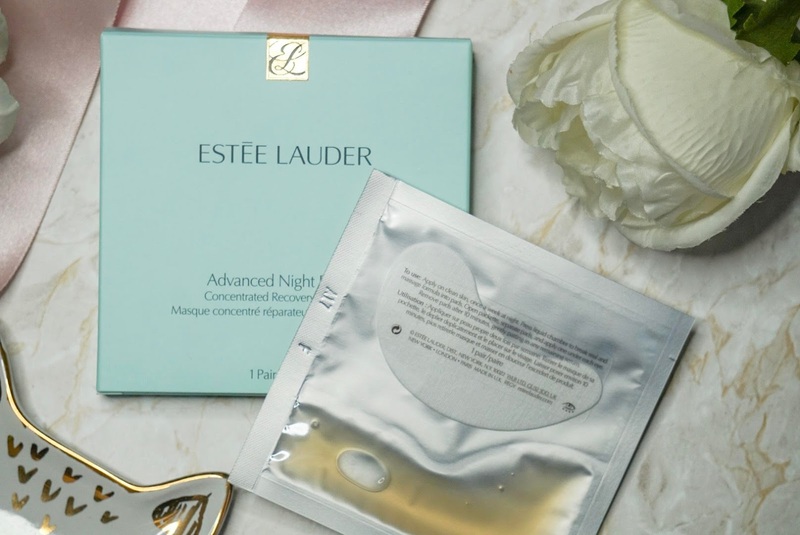 The Estee Lauder intensive eye mask. This isn’t the most affordable product the more pairs you get in a box the more expensive it is but for one pair it is £11, so there definitely are cheaper eye masks on the market but this one is amazing and I was expecting to like it anyway but not this much and now I’m kind of thinking about ordering a few pairs because this stuff is insane! Before you open the packet you press it and massage all the cream and distribute it so the masks are evenly saturated in cream, then you simply pop it under your eyes for 10 minutes and let it do the work and this stuff has been an absolute god send and I am definitely going to repurchase this little beaut! Those are my 3 eye products that I am using at the moment, I am going to start using the eye mask once a week or maybe twice a month and yes, I have just stopped writing and I have literally just purchased another box! Don’t forget you can follow me on any of my social media platforms just click the follow icons on the right-hand side of the page or at the bottom of the page if you’re on a tablet/mobile device ooh and ooh don’t forget to leave a comment! I forget about the Body Shop. Great post and good ideas! I have been seriously slacking on posting what I use for my skincare. I definitely want to try eye masks seeming how I am getting older and the darkness is starting to come through. When I remember I use my Clinique Even Better Eyes which lightens them if you consistently use it. Thank you for sharing and inspiring me to post more of the skincare items I use and have gotten from brands.